This Artifacts slidebar supports an adjustable handshower at your desired height for a customized showering experience. Coordinate it with an Artifacts handshower, faucets, and accessories to express your own personal style. 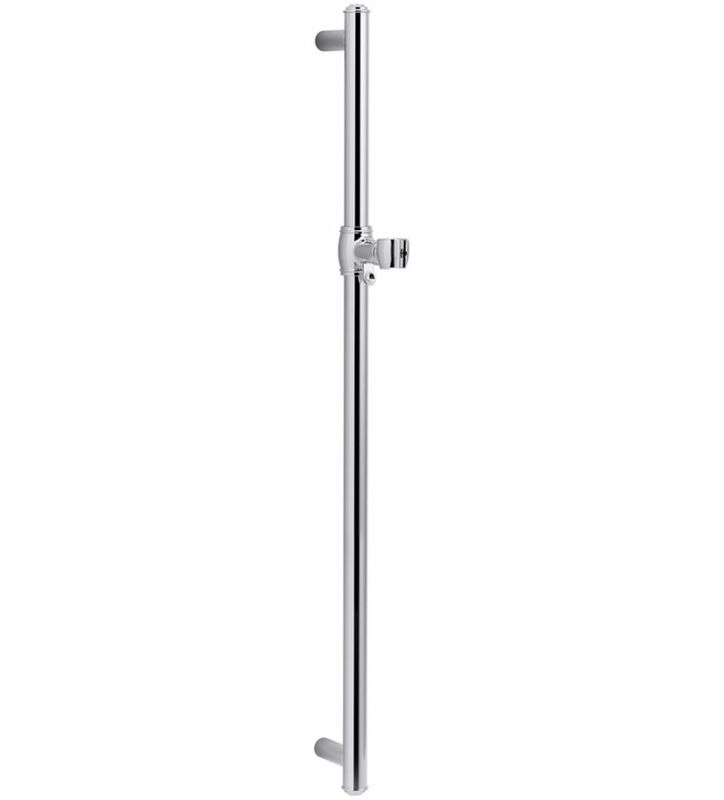 Allows handshower to be raised or lowered to desired height for customized showering experience. The tapered curves and graceful arcs of the Porter Bath Collection are reminiscent of classic architectural forms. Experience a better shower with the control and flexibility of a Delta hand shower. Great for showering yourself or your loved ones and pets, as well as for keeping your shower and tub clean. While other products may gather unsightly mineral build-up over time, Delta soft rubber Touch-Clean spray holes allow any mineral residue to simply be wiped away for an instantly refreshed look with no need for soaking or the aid of chemical cleaners. Featuring soft curves and unique form, Fairfax accessories offer elegant design at an affordable price. This 30" towel bar is lengthy and durable enough to hold two of your fluffiest bath towels, and complements Fairfax faucets for unified design in your bath or powder room. Tools are included to simplify installation. Also available in store by special order only see store for details. Artifacts 30 inch Shower Slide Bar In Polished Chrome This Artifacts slidebar supports an adjustable handshower at your desired height for a customized showering experience. Coordinate it with an Artifacts handshower, faucets, and accessories to express your own personal style.